Subscribe to the DarkRevMedia Newsletter! Dark Parallels Episode 2: Digital Afterlife, Altered Carbon, Karma, and the Meaning of Life is now availalbe! Dark Parallels Episode 1: Black Mirror, Morphic Resonance, Theories of Everything and Zombie Cats is now availalbe! 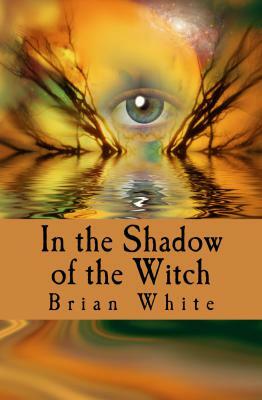 Author Brian White confirmed that the first draft of Quantum Mystics: Book 1 is complete. Check out the Books page for new information and updates! Horn & Dagger Kindle Edition is now available! Horn & Dagger Sample Chapter Downloads now available on the Home page. Subscribe to the DarkRevMedia Mailing List and be entered to win 1 of 5 signed copies of Horn & Dagger as well as special deals on future books and merchandise with access to exclusive content. Check back for updates and a new Horn & Dagger page including short stories. The wait is over! Horn & Dagger is now available in Paperback and Kindle Editions from Amazon. An ancient darkness rises over the island of Erebos, threatening the destruction of the wonder and magic that lives there. Erebos is like no other place in the world, yet its creation, enlightenment, and destruction is intimately tied to the fate of Earth. A prodigal son returns to his homeland, called by the magical Lady of Erebos, a unicorn whose existence goes back to the earliest history of the island. She begs His return, for He is the first and only Shadow Monk of the Order of Kur, which places Him in possession of the power to stop the spread of the darkness and arrest extinction. Until now, the Lady has used her own power to keep the energies in balance, but as the darkness grows stronger, her energy weakens. To heal Erebos, the Monk must face the Engineer, whose alchemical manipulation of ancient technology has thrown the energies of Erebos out of balance. One strives for power, the other for balance, and the third for peace; however, the dark power of the Norja, the sacred mushroom, may have its own designs. A being only known as the fox of extinction has arrived on Erebos, telling the Monk of the pattern of extinction, for he has seen the end of many worlds. There are always three players, he says, the unholy trinity, all of whom believe they are the savior. Among this trio is the Lone Deranger, who seeds the plant of destruction and cultivates it with absolute conviction. It is this belief in absolutes that brings about the end, before which time the Deranger must die. Who is the Deranger in this version of the extinction event? The unicorn, struggling to maintain the illusion of peace; the Engineer, leading Erebos to a new age of commercial prosperity; or the Shadow Monk, with his desire to understand the mysteries of the universe, complete the Great Work, and heal the world? Only death will reveal the true identity of the Deranger and bring about the end. Horn and Dagger is a tale of endings and new beginnings, of magic, and the search for meaning. A cautionary anecdote, it also warns against the darkening influence of passive consumerism and philosophical and religious absolutism. Your life will never be the same once the Coma Witch enters it. This is a fact, Trevor, an innocent blacksmith must face once forced to make a deal in order to save his son’s life. When the witch demands payment, Trevor is unable to deliver starting a vicious cycle of revenge and retribution. This story of destruction and vengeance set in a dystopian post-modern West follows the trail of devastation and despair through this dark world where good deeds are twisted to evil ends and where Trevor ultimately finds the answer to this question: Is he a mystic in search of a dark revelation or is he the questing knight in search of justice? "LET ME SEE THAT OTHER WORLD AND KNOW THAT IT IS REAL." Blake William knows that worlds exist beyond what he can see and touch. Years of studying the occult have brought him tantalizingly close to what he seeks—close enough to draw the attention of the Strand Society, malevolent conspirators who jealously guard their knowledge of the Strands that make up all existence. Macaria Tully is the last in a long line of assassins serving the Society. What she lacks in magical abilities, she makes up for with constant training, determined to become the embodiment of death. To her, there is no greater glory than the transcendent beauty of annihilation. Alex Tannersley, a mage of tremendous power, defected from the Society and is determined to take them down. Blake, skilled but untrained, seems like the perfect recruit to his scheme. But the Society has sent Macaria to follow Blake—and he will lead her straight to Alex. Synesthetic musician Alma Vida has traveled the world in search of mind-altering rhythms and melodies. When she goes with Blake to visit Alex, she has no idea that Macaria is right on their heels—or that Alex will save them by pulling them through a portal into a surreal dimension outside of time and space, the Primordial Strand, home to the machinery that runs the universe.